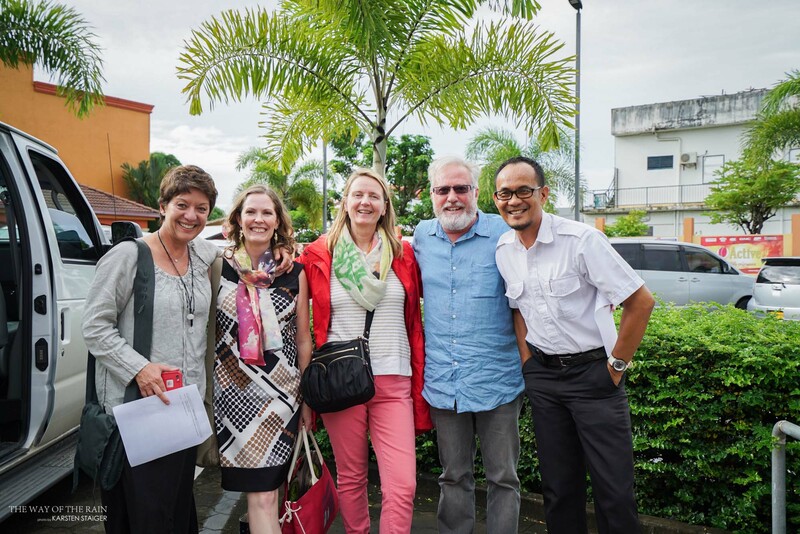 "In May of 2016 I was lucky to find myself in Paramaribo, Suriname, following an invitation by the U.S. State Department, to come - see - meet – learn and explore. 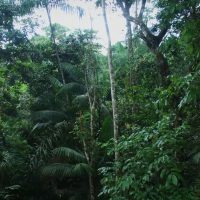 The sheer vastness of the Suriname Rain Forest with its thousands of tree and plant species including important medicinal herbs and plants, 674 species of birds, 130 species of reptiles, and 200 species of mammals, has the greatest percentage of remaining forest cover than any country in this hemisphere, contributing to a unique, indigenous and multi-cultural amalgamation of peoples and religions. 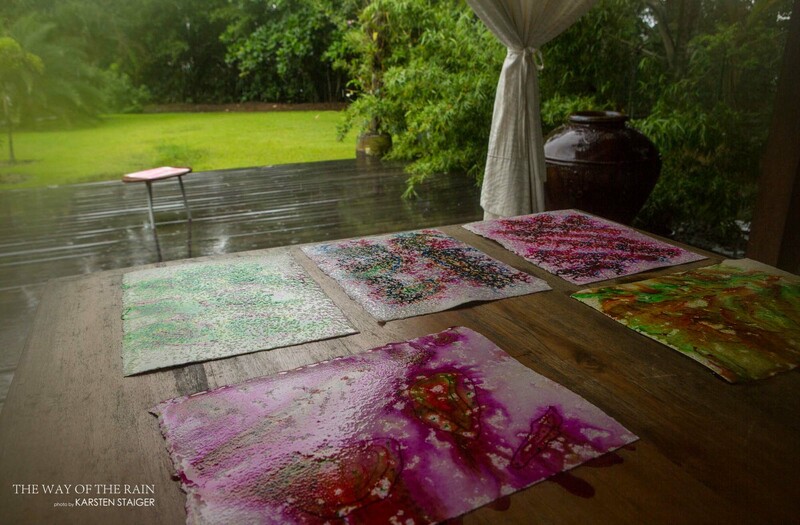 These discoveries informed and became the inspiration for my series of Rain Paintings captured with Surinamese rain..."
Artist Sibylle Szaggars Redford traveled to Suriname for her commission for the new permanent collection of the U.S. Embassy in Paramaribo, Suriname. 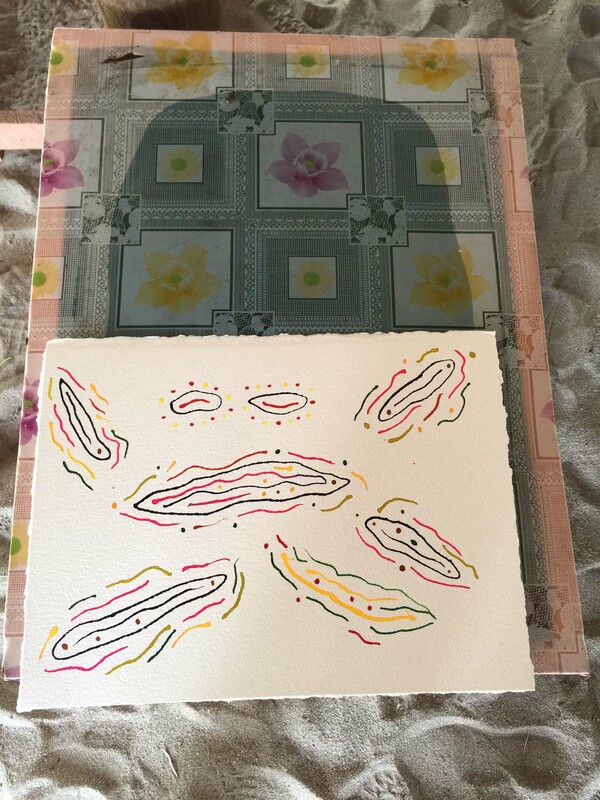 Born and raised in Europe, Szaggars Redford moved to the U.S. permanently in the 1990s, where she set up her artistic practice in Sundance, Utah. 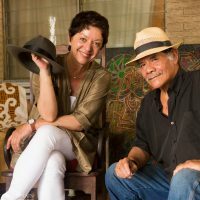 An interest in the traditions of Native American cultures and her developing concerns about the environment have inspired the artist throughout her career. 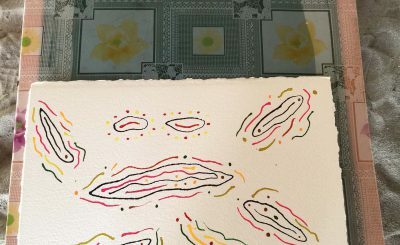 In 2010, Szaggars Redford started to experiment with elements of rain and watercolor and created her first rain video. 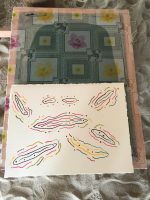 She continued to develop her work along with mixed media installations and started collaborating with musicians, performers, and composers. 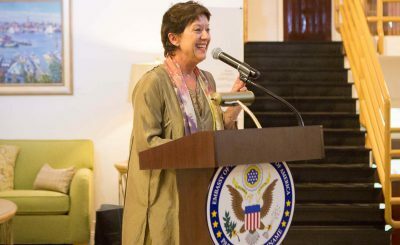 Suriname, with its vast rain forest and diverse group of indigenous and tribal peoples, offered Szaggars Redford and her collaborators—Gregory Leon Baird and Karsten Staiger—a wide range of impressions. 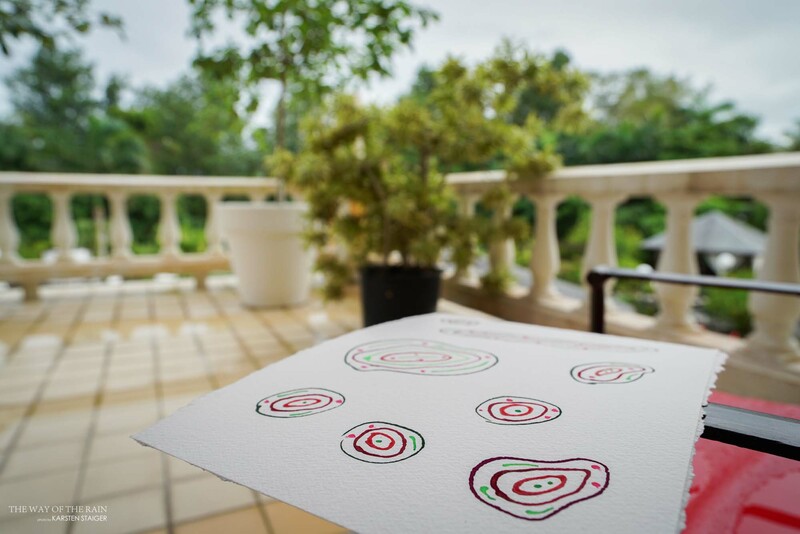 Their experiences resulted in a series of watercolors, created in Suriname, that became the inspiration for her five Rain Paintings that will be installed in the U.S. Embassy in Paramaribo. 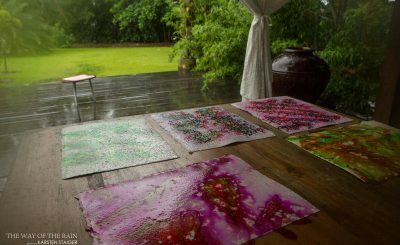 Szaggars Redford arrived in Suriname during the rainy season and brought with her a folder of her uniquely prepared watercolors on paper that interact directly when “kissed by the rain”. 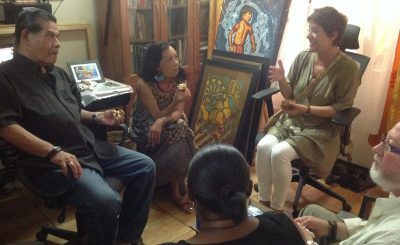 The artist’s first event took place on Wednesday, May 4th, when she traveled to the indigenous village of Powakka and met with the village captain Betty Sabajo and her brother, the artist Leo Sabajo, as well as with representatives and artisans from the Powakka women’s organization. 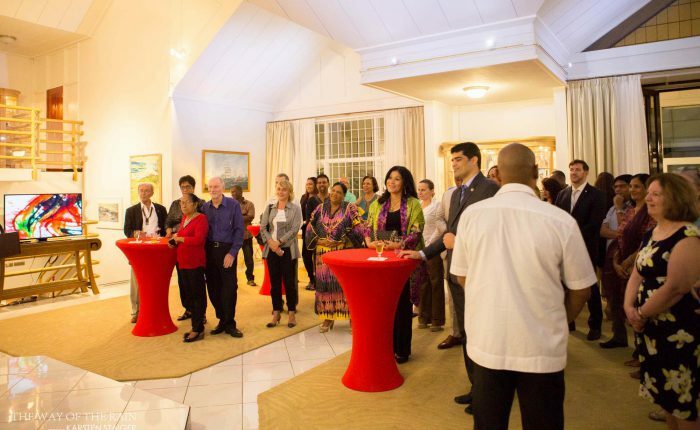 That same evening, Szaggars Redford was the guest of honor for a reception at the opening of the Art in Embassies exhibition at the Residence of Ambassador and Mrs. Noland, where she had a chance to meet with Surinamese artists and art professionals. 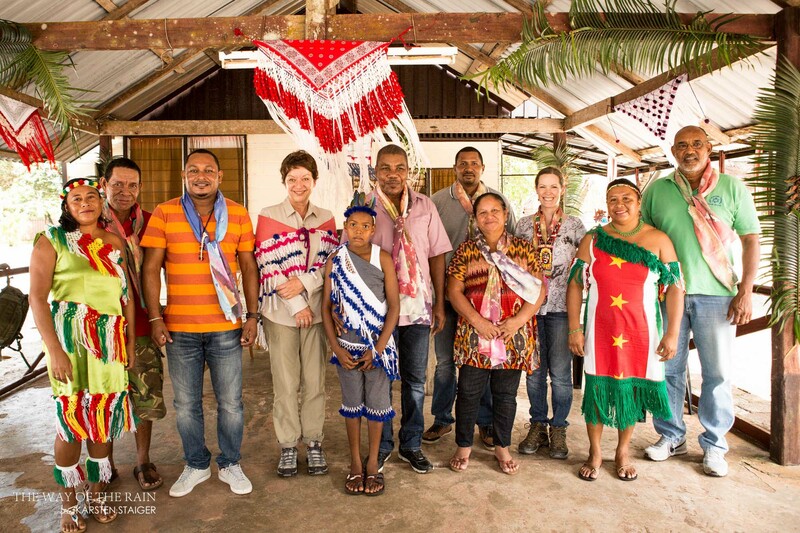 On Thursday morning, after a site visit to the new U.S. Embassy, Szaggars Redford met with the President of the Association of Indigenous Villages, Marie-Josée Artist, for an in-depth conversation about the different indigenous cultures in Suriname. 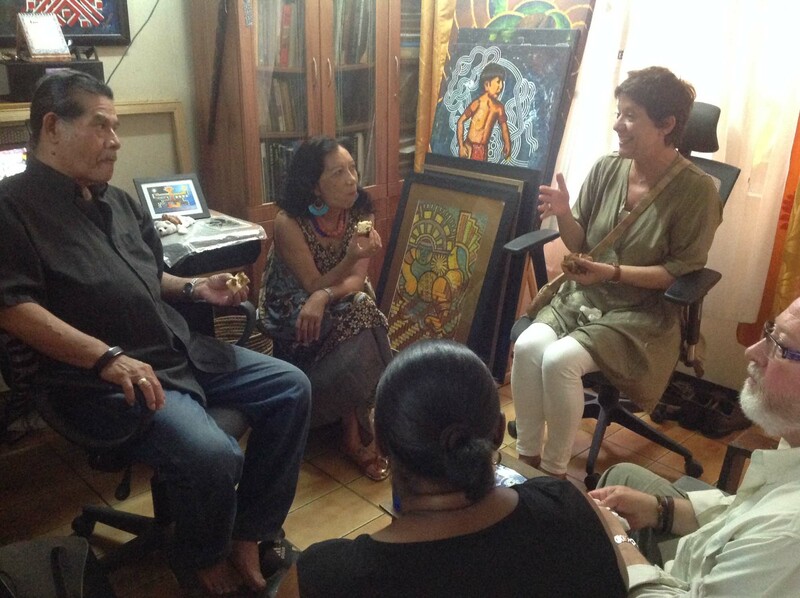 After lunch, the artist and her team were received by indigenous artist Winston van der Bok. 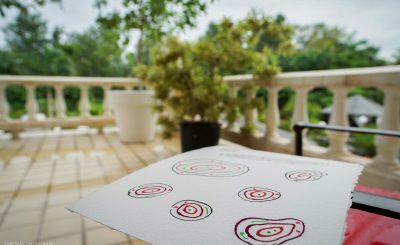 Van der Bok, who supports himself as a graphic designer in addition to creating artwork, explained some of the symbols and elements in his culture and artwork. 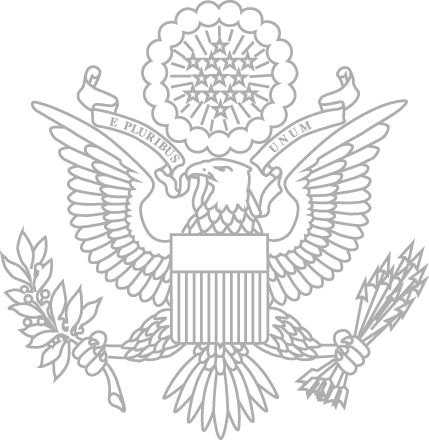 Three of his works are now on permanent display at the U.S. Embassy. 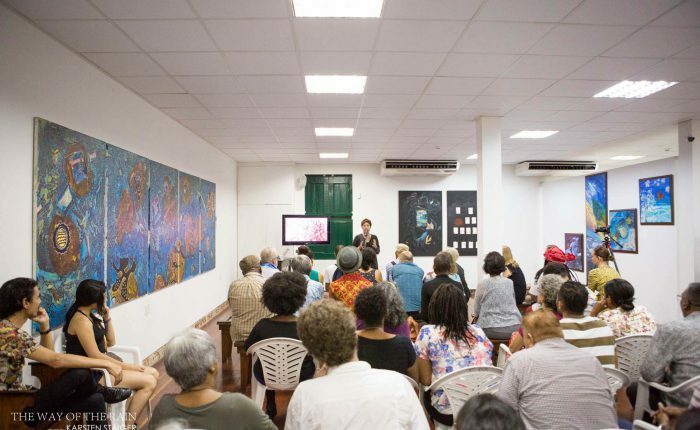 That same evening, Readytex Gallery hosted a talk and video presentation by the artist about her “The Way of the Rain” art performance pieces and organization. 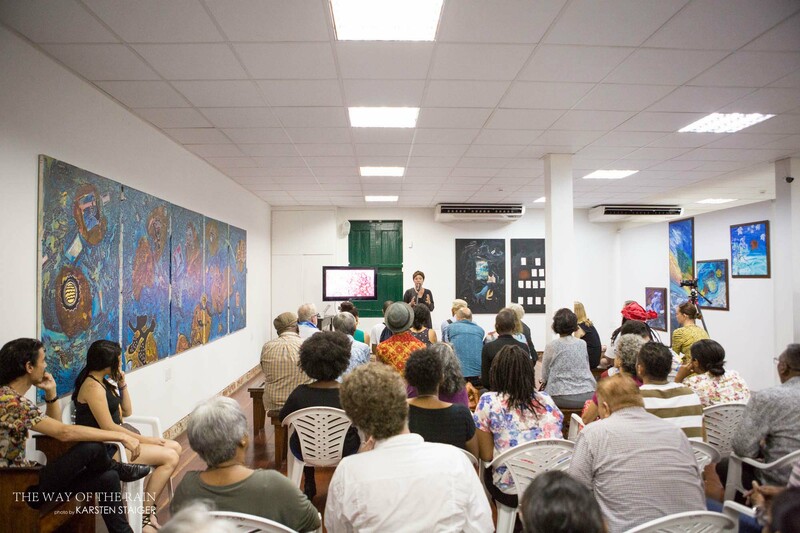 The newly renovated space was packed with a very interested and enthusiastic audience who had the opportunity to follow up on the presentation during a question and answer session. 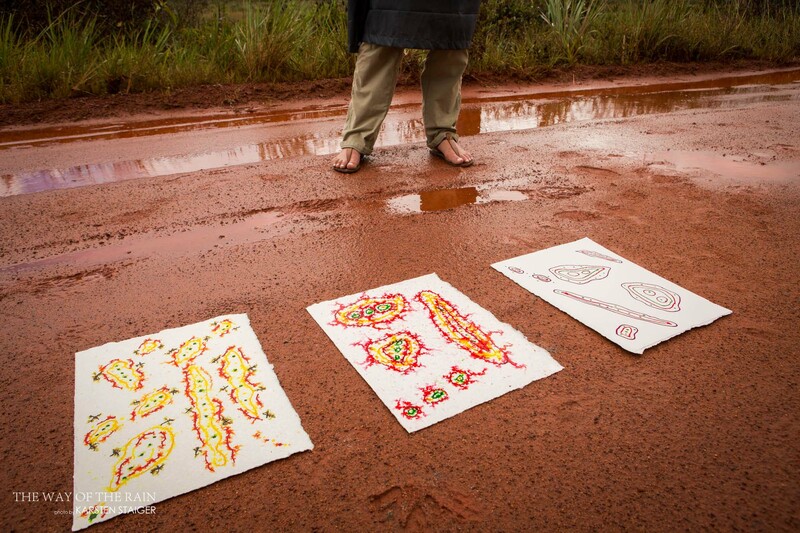 Prior to the presentation, Szaggars Redford created another rain painting on the sidewalk outside the gallery. 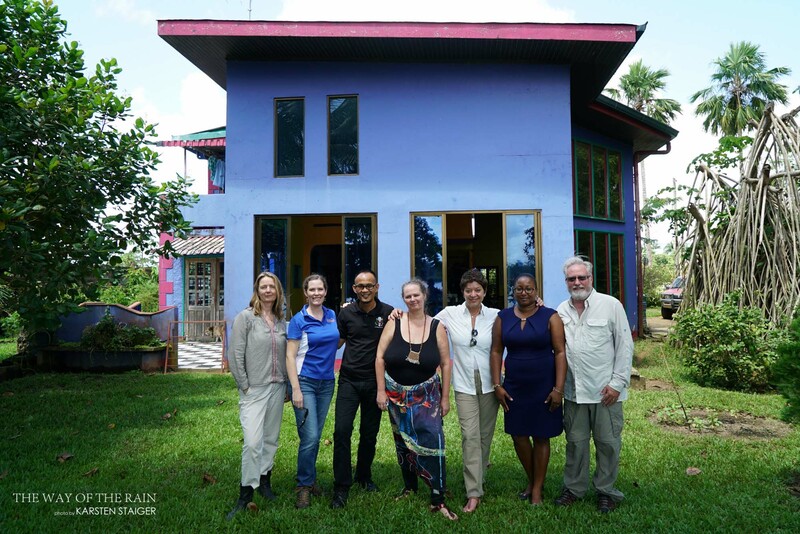 On Friday, May 6th, the day started with a long trip to the village of Matta where the artist and the U.S. Embassy team were received by village captain Michel Karwofodi. 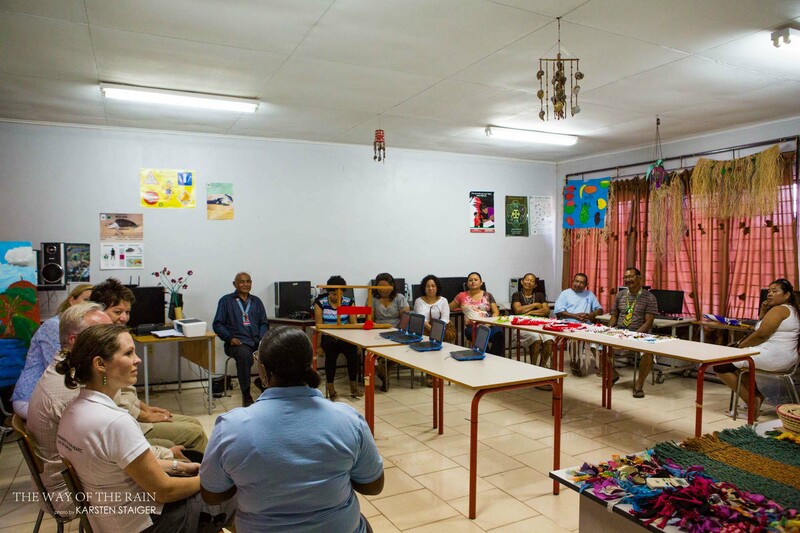 He had invited some of the elders of the village to join the conversation and presented some of the village’s cultural artifacts as well as describing some of their traditions. Mid-morning during class recess, a large group of school children came out to join Baird, Staiger, and Szaggars Redford. 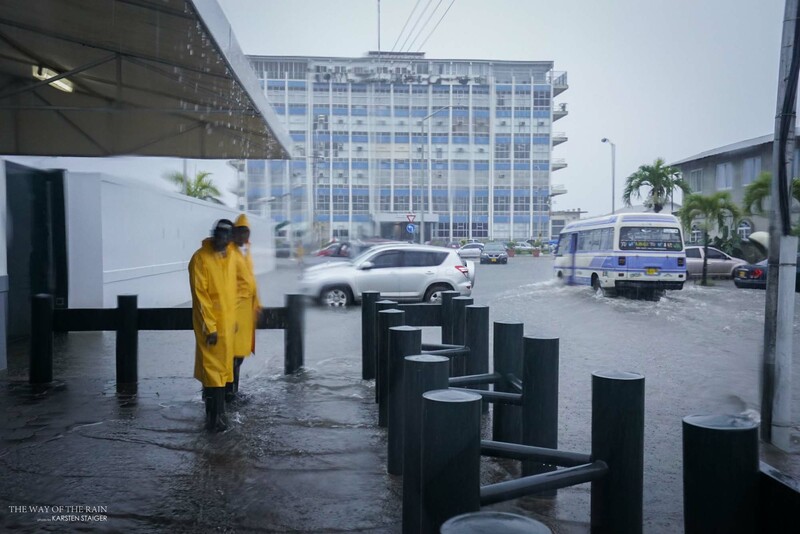 On the way back to Paramaribo, as it started raining, Szaggars Redford stopped alongside the road to create some additional paintings. 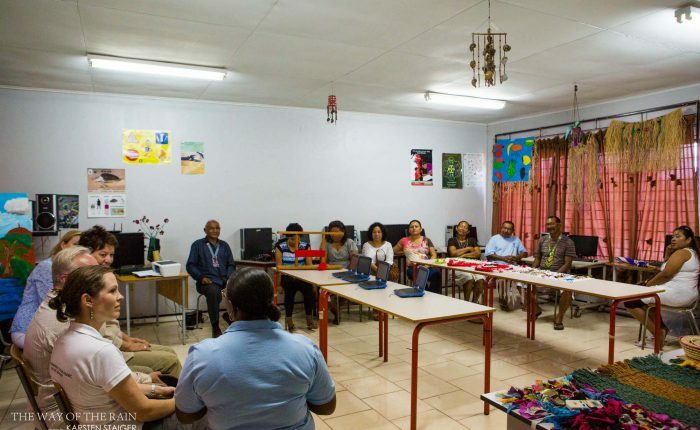 On the last day of the exchange, Szaggars Redford visited the village of Redi Doti, a few hours outside of the capital of Paramaribo, where the group met with the village captain Lesley Artist. 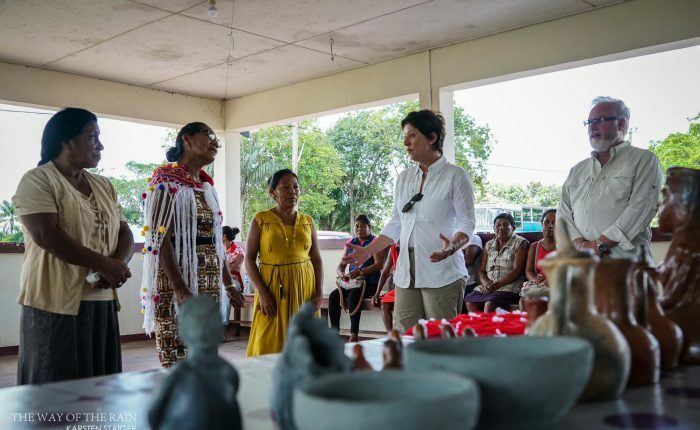 In addition to meeting with the different artisans in the village, Szaggars Redford received a guided tour of the savanna forest that ended with a visit to the Cassipora cemetery, the oldest ruins of the Jewish settlement in Suriname, dating back 350 years. 14 redi doti_redfordSibylle Szaggars Redford posing with villagers from Redi Doti. 15 rain paintings_redfordRain paintings in action. 13 catching rain_redfordCatching rain on the trip back from Matta. 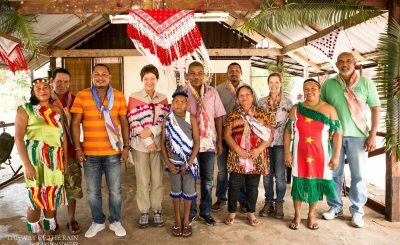 12 matta_redfordConversing with villagers in Matta, a Surinamese village working hard to preserve their traditional culture and to encourage young people to return to the village once they complete their education. 11 ReadyTex_redfordSibylle Szaggards Redford speaks to an audience at the ReadyTex Art Gallery. 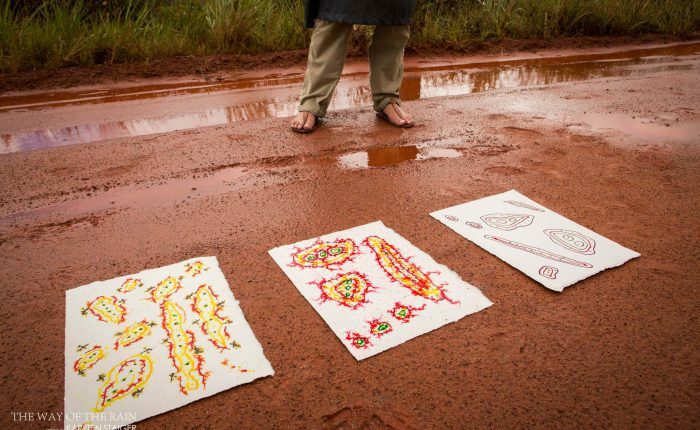 10 Winston van der bok_redfordMeeting with indigenous artist Winston van der Bok. 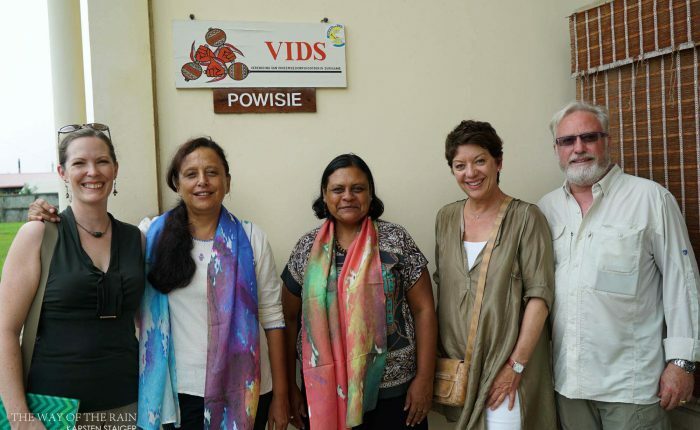 09 VIDS_redfordMeeting with Association of Indigenous Villages president Marie-Josée Artist. 08 reception_redfordThe group in attendance at a reception at the Residence of the U.S. 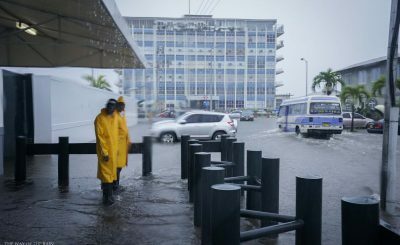 Ambassador to Suriname. 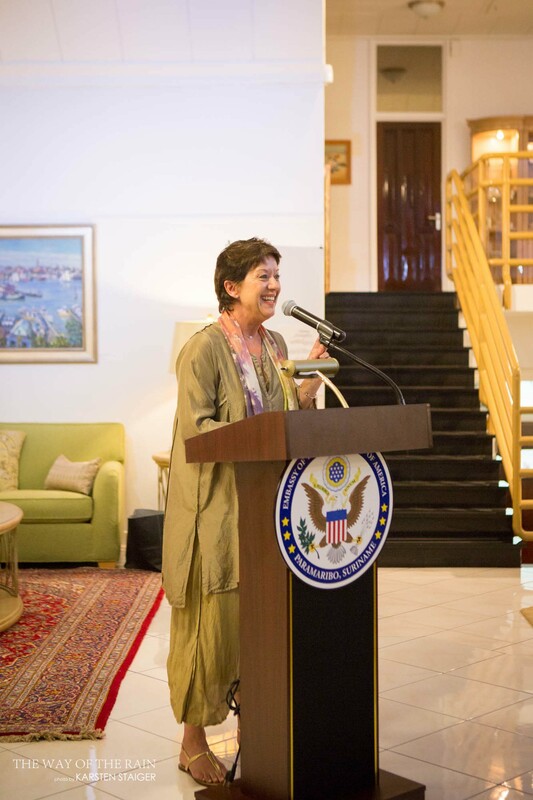 07 reception_redfordSibylle Szaggars Redford speaks at a reception at the Residence of the U.S. 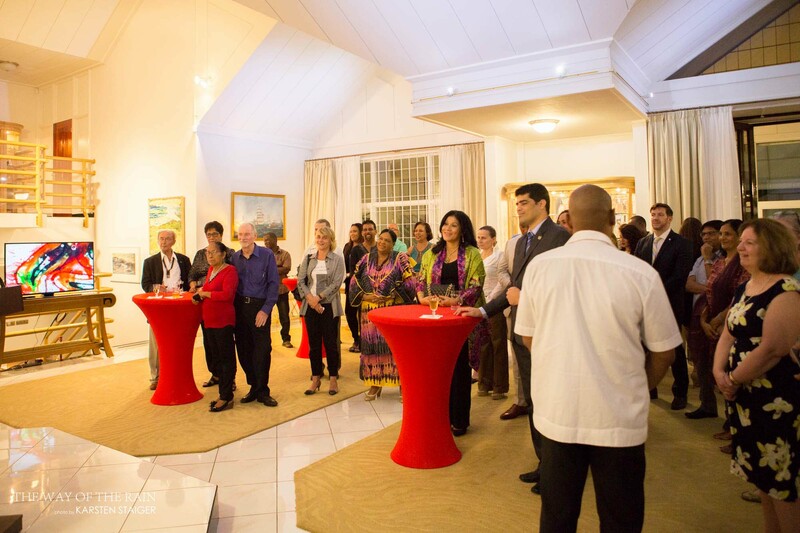 Ambassador to Suriname. 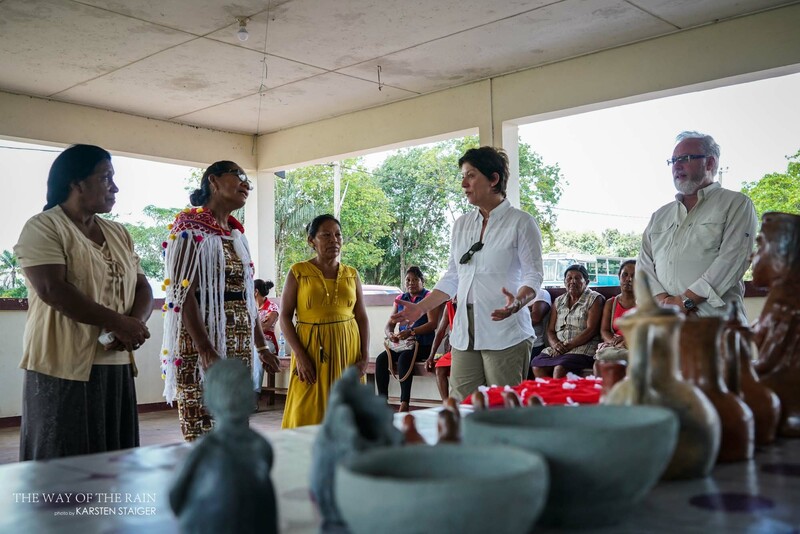 05 in Powakka_redfordSibylle Szaggars Redford speaks to group of artisans and residents in the village of Cabendadorp. 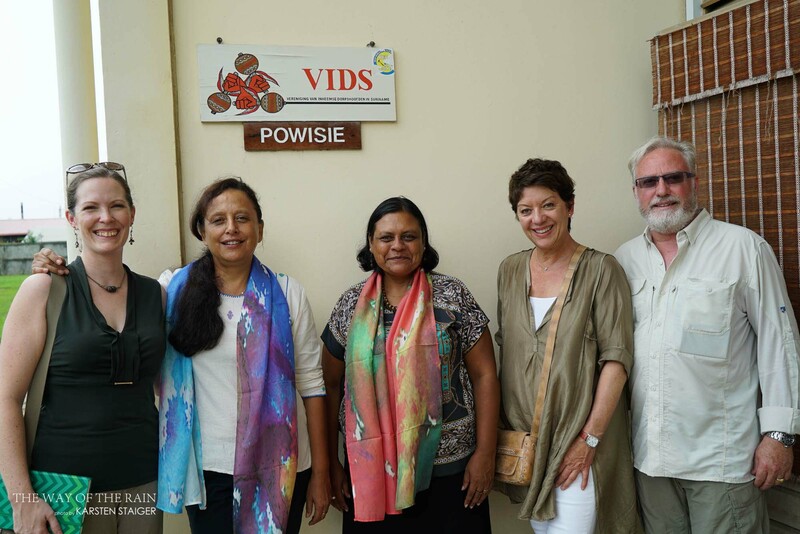 04 meeting with Marieka Visser_redfordIn a visit to the Surinamese countryside around Powakka, the group met local artist Marieka Visser. 03 painting waiting for rain_redfordA prepared watercolor painting by Sibylle Szaggars Redford, waiting for the rain. 02 the group_redfordThe team in Paramaribo, gearing up for a visit to the Ambassador’s residence. 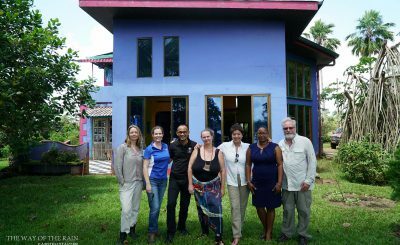 01 the rain in suriname_redfordArtist Sibylle Szaggars Redford, along with her collaborators and representatives from Art in Embassies, arrive in Suriname for the rainy season.